Time passes, and every one of us will pass away. By bringing us closer to the present moment, meditation opens up a dimension that goes beyond individual and temporal existence. Time is one of the fundamental mysteries of the universe. What is time? What is the past, the present, the future? Man has often looked upon himself as the master of the universe. But no one has ever been able to conquer time. Modern technology and improved standards of living have prolonged our life span. But this is only a postponement. Time passes inexorably. Time is invisible, but has always been measured. Time is non-material. Time is everywhere, and has always been there. Time shapes everything, and is present in everything. Human life has always been subjected to time, as has everything else in the material universe. In all cultures man has wondered what time is. No one has found a conclusive answer. As long as we limit ourselves to chronological time, the partitioning of time is simple. To have a look at one’s watch is easy. Understanding the concept of time philosophically is more difficult. In order to come to grips with what space and time are, physicists talk about a fourth dimension, called space-time, that comes in addition to ordinary three-dimensional space. But even so they do not quite understand. And their preliminary conclusions are set forth in complex mathematical formulas that are completely inaccessible to outsiders. In meditation we experience that meditative time is often different from chronological time. In long meditations, time may pass much more quickly than conventional time. It is not as if time rushes by. The experience is rather one of tranquil calmness. Only afterwards do we notice that our sense of time has been different than usual. During meditation we have simply to a greater degree been in time. In other periods of meditation, time can drag by endlessly. This is a sort of tediously long psychological time, which we recognize from other situations. We feel bored and restless. Time becomes a prison. We are confined by time. In Book XI of his Confessions, St. Augustine wondered what it is that makes the past and the future real. How can the past and the future exist, when the past is already gone and the future is yet to come? For man, both the past and the future are abstractions, constituted by the human mind. For human beings, they only exist in virtue of the present. St. Augustine also philosophized about the length of the present. In a sense, the present is infinitely short. Every time one defines the present as having a certain extension in time, it can – at least in one’s mind – be imagined to be even shorter. From another perspective the present is without any duration at all. It just is. As soon as it is given duration, it may be divided into the past and the future. The division of time into infinitely small units is an abstraction. In man’s experience, the present is all that exists. As Augustine pointed out, one’s experience of the present has no duration. The present is not infinitely short; it may be full and complete in and of itself; quiet, but dynamic. The present is there all the time. Man’s mind is restless. It is filled with so much, and is drawn in so many directions, that we often do not have the peace to be just here and now. The future and the past come into existence in the present, but may make it difficult for us to be in the present. Regrets about the past or fears about the future restrict our awareness. The present is there, but we often do not relate to it. Meditation is a systematic way to release everything that is in the mind. In long meditations our stream of thoughts may become more tranquil. The phenomenal content, past and future, no longer excludes the present in the same way. In meditation, the present may come closer and become more charged. This gives us deep satisfaction. The closeness to the present in meditation may also enable us come closer to the present in our daily lives outside meditation. People who find the meaning of life in being remembered for the sake of posterity make the path of life into a sad blind alley. For how long is one to be remembered? The history of a country extends back at most some thousand years. Compared to cosmological time, geological time, biological time, and even the history of mankind, one country’s history is but a brief moment. It is a microscopic point on an infinitely long time line. And even within the microscopic portion of universal time that is constituted by the history of a given country, not very many people are remembered at all. The history of civilization goes back approximately 10.000 years, that of the human race several hundred thousand years, and that of cosmos 12-15 billion years. One can correspondingly envisage infinite temporal horizons in the future. Where should the person who wants to be remembered let his ambitions stop? What if time begins anew after our universe has finished expanding, so that it collapses and then starts expanding again? What if there are other universes? Only the nearsighted, who limit their perspective in time and space to what is local and provincial, can seriously live in the hope of being remembered. To live in order to be remembered by history forever is a meaningless goal – at least if it is supposed to compensate for one’s fear that everything about me will cease to exist. What does it help to win over death for a hundred years if death wins for the next billions of years? People have built huge monuments in order to conquer death and achieve eternal life. The pyramids stand as testimonies of man’s attempt to deny the most absolute dimension of life. At some point in time our individual history will come to an end; it is just a question of time. One day even the pyramids will become cosmic dust. But the present moment will continue. If we sacrifice our lives on the altar of our own individuality, we doom what we have made most important in our lives to eternal oblivion. Investment in fame, property, or pyramid-like monuments, makes life into a losing game. The alternative is to try to come closer to that part of life that is not primarily attached to one’s own person or individuality. In a sense, every human being is in touch with an eternal dimension. The present moment is eternal. Even without man it will always exist. As long as anything exists, there will be – must be – a present. In working to create more space for the present, we open an eternal dimension in the human mind. Coming closer to the present does not provide us with eternal life. But it may put us on track of a dimension in human life that goes beyond our own time, an aspect of existence that will always be there. Every one of us will pass away, but the moment will always continue to be. By giving space to the present we focus on an aspect of life that touches upon something timeless. In the encounter with the present a universal aspect of man unfolds. The present moment transcends each individual. It represents more than one self. Being in touch with this universal dimension can be thoroughly satisfying. It is not supposed to be used for anything, and it cannot be bought or sold. But it provides meaning and a kind of fulfillment for which man may have deep yearnings. It belongs to the type of experience where one does not have to ask why. The answer lies in being there, in that which is not individual, but which is completely shared and human. 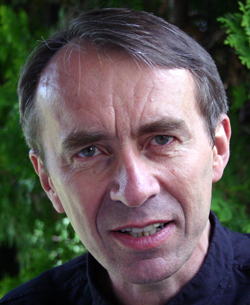 Ole Gjems-Onstad is Professor of Fiscal Law at the Norwegian School of Management, Meditation Teacher in Acem.